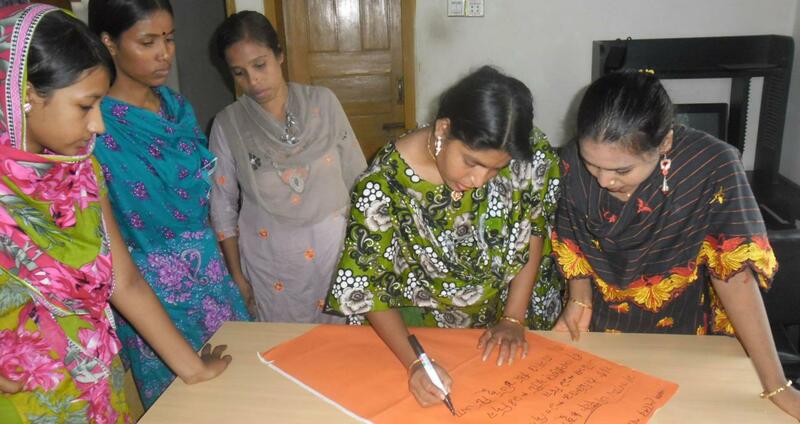 Organization for Women’s Development in Bangladesh (OWDEB) – is a women led socio-cultural development organization started on February 01, 1995. Formally, our organization initiated its activities in 1994 by a group of people including Teacher, Writer, ex student politicians, Artist, NGO activist, EPZ experts, Home makers. So, many professionals who had a common interest to serve deprived people for a better life, still they are engaged with us through different activities of organization. The core concern of OWDEB‘s development strategy are effective participation of the women in decision making process that effect their life and livelihood, gender equality, social justice, cultural & economic growth with equality, sustainable and productive resource management and finally environmental protection and regeneration. OWDEB has an initiative to spread its essence to protest and protect women from the cruel shadow of Domestic violence from its early stage. Violence against women is universal till now. Currently the organization is operating 06 Projects at 04 Thana at grater Chittagong district in Bangladesh on gender equality and economic growth with equality, Child Domestic workers’ Protection and education, Empowerment of readymade garments workers, Para legal supports for deprived victim Women, Support Urban Slum Children to Access Inclusive Non-Formal Education and IGA development activities.